“Everything has become blasphemous”, writes Riss, director of Charlie Hebdo, in the latest issue of the weekly issue that comes out on the anniversary of the massacre of his colleagues by two Islamists, the Kouachi brothers. Four years later, it is the same idea of ​​freedom of expression that has become blasphemous in the West. Charlie Hebdo’s troubles, culminating in the murder of its journalists and cartoonists, began with the solitary republishing of the Mohammed cartoons by the Danish newspaper Jyllands Posten. 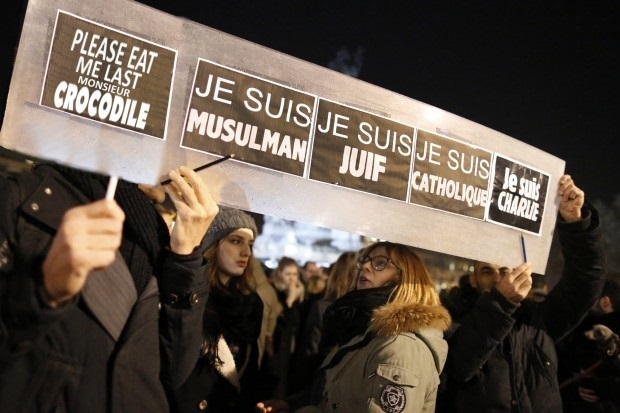 In the four years since the massacre at number 10 of rue Nicolas-Appert in Paris, no European newspaper has republished a single sticker on the Prophet of Islam and all mainstream media have pixelled Charlie Hebdo’s caricatures.